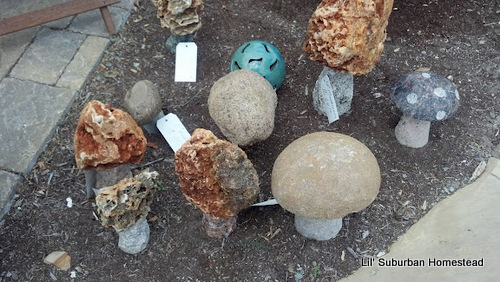 This past weekend my husband and I visited a local “Stone Retailer” Stone Garden when we picked up some river rock to finish our fountain for the garden. I will be posting our big reveal for the raised bed garden and fountain soon! 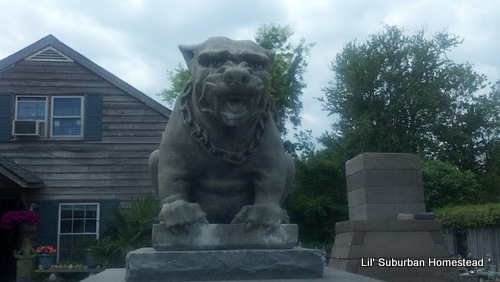 Stone Garden is just beautiful if you have never visited it you should; they told me they actually have students come on field trips there and I thought I would share with you some of the photographs I took while I was there! 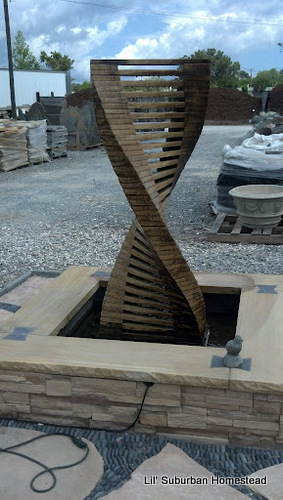 Just about anything you can imagine made with stone….they have! Any project you want to complete with stone they probably have too. 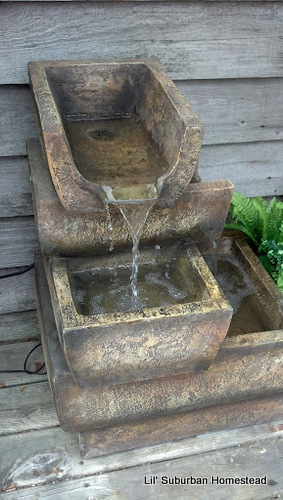 They have everything you need to help create a unique one of a kind garden space. 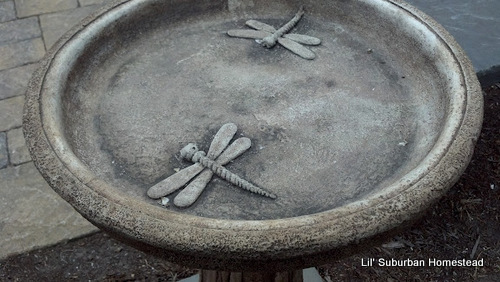 They also have a beautiful bird bath with dragonflies carved in it- I love dragonflies! 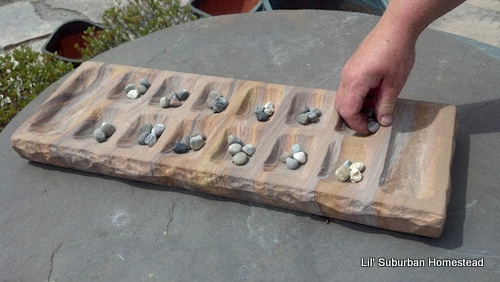 Another nice surprise was a stone mancala game. We love this game in our household! 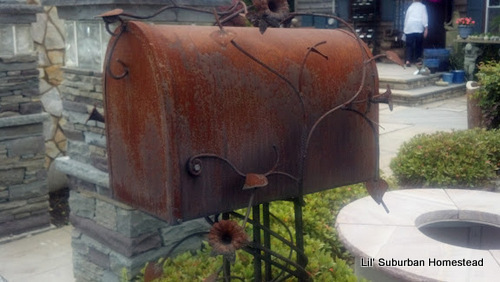 I love this fountain and I love the rusty mailbox below! I am home sick today but hopefully I will be on the mend soon….I am sipping on some lemon tea with honey and plan to have soup with lunch. 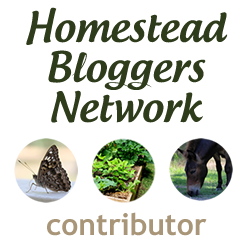 This blog post is linked up to the following wonderful blog hops! Great pictures! 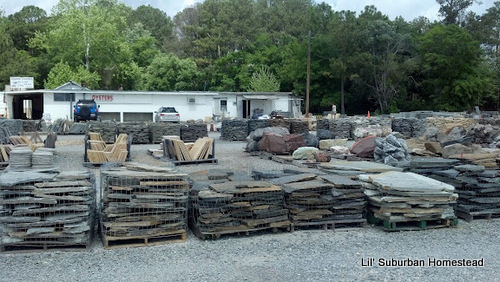 Using stone in your landscape just adds so much to the overall appeal – that looks like a great place to come up with endless ideas. great post-thanks for sharing! Thanks so much! 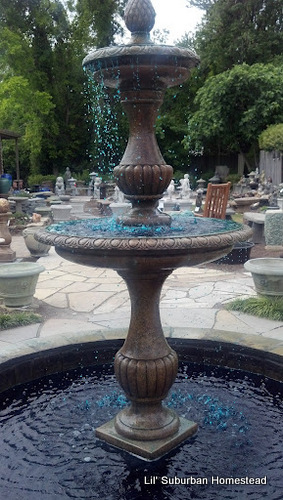 I was so excited to be able to pick up some stone there although we are frugal so it was a modest amount but I think once you see the big reveal that it compliments the fountain nicely. Get well soon KarenLynn. I look forward to your reveal… It’s exciting how much you’ve been designing outdoors this year and it’s only April, wow. Heidi we were not able to do much last year so I think our motto is that we should get’er done..;)…LOL! Thanks for your encouraging comment! Love the Mushrooms! My weakness is glass, but the stone is beautiful too. Thank you for the tour!